The Also Vase collection is intended to be used as either an oil diffuser or an ordinary vase for flower arrangements. It can also sit as a decorative vase upon a shelf or mantlepiece. I’ve always liked the idea of multi-use objects as a small injection of curiosity and playfulness into the everyday. With space and resources becoming more limited in our world this is my small contribution to help a modern person wanting to uplift and elevate any space. The vase’s internal shaft is closed off, creating a small chamber for holding water or a diluted mix of water and essential oil. This is what allows the vases to have the two functions, as it has a hole in the bottom to hold candle or heat-source. I love having different rooms in a house smelling different ways, but I thought it too expensive and wasteful to be buying large scented candle, reed diffusers or plug-in air fresheners every month. Another thing was that I didn’t like the plug-in scents, I thought them too chemically smelling, and the cheaper candles and reed diffusers weren’t to my particular liking. So essential oils were my best option. 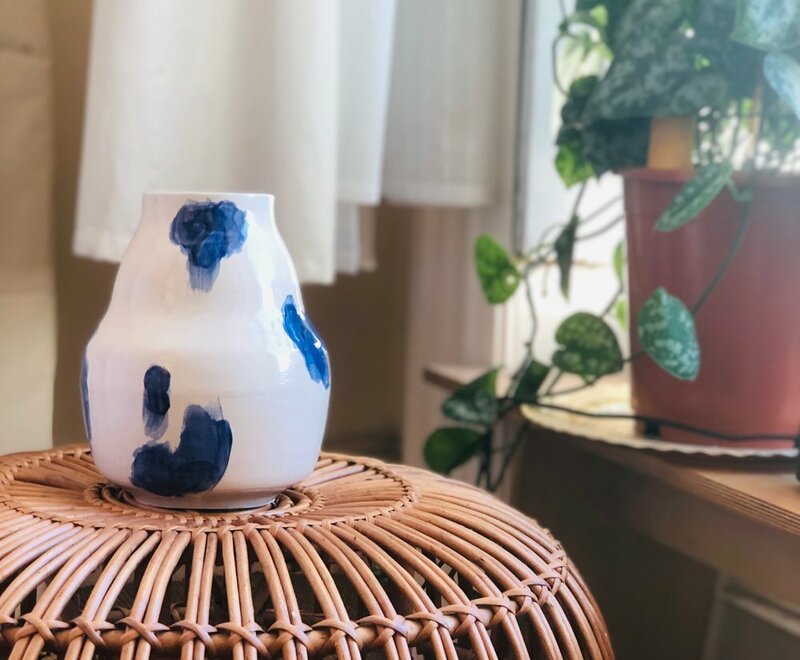 Unlike scented candles or reed diffusers, which are single-use products, the vase can beautifully scent a room repeatedly and at a much lower cost. You simply buy your favourite essential oil. And like a scented candle or reed diffuser, when the vase is used as an essential oil diffuser it allows anybody to scent any room what they wish but at a fraction of the cost or waste. When a candle or reed diffuser are used up, they don’t make for attractive or decorative objects. I designed the vases so that when they lay idle, they can be viewed as attractive design objects in their own right. Not like a scented candle or empty bottle with reeds popping out, and this is one of the things that excites me most about the vases. The possibility to always be changing in use and how we view them. Profile section of vase design. Water or water + essential oil is held in suspended chamber.